Learn about Primera Carpet One's selection! Primera Carpet One Floor & Home strives to offer many different flooring options but one of our most popular, up and coming category of flooring is resilient flooring. What exactly is resilient flooring? It simply means flooring that is engineered with certain materials that are specifically designed to withstand extreme traffic, more adaptable to climate changes and moisture, stain and scratch resistant, and overall is resilient to everyday wear and tear compared to other brands of flooring like hardwood or carpet. 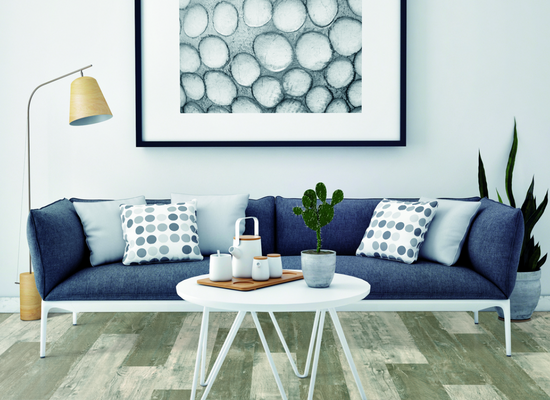 Among our line of resilient flooring, the most common is vinyl flooring also known as luxury vinyl tile or luxury vinyl plank flooring (LVT or LVP) for its astounding hardwood, stone, or tile appearance. Vinyl flooring is easy to clean and maintain. It holds up exceptionally well in high-traffic areas which results in longer lasting performance and it is typically a more affordable alternative to solid hardwood flooring or tile flooring. What is the Best Vinyl? Start your inspiration collection to create your dream look.